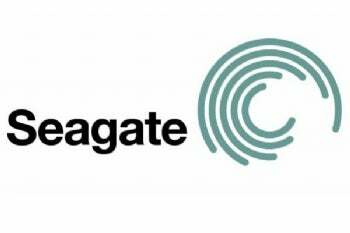 If your 2TB hard drive is feeling a bit cramped these days, Seagate feels your pain: Seagate's senior product manager confirmed to Thinq on Monday that the company is planning to announce a 3TB hard disk drive later this year. However, if you're currently running Windows XP or the 32-bit version of Windows Vista, you may need to upgrade. According to Barbara Craig, senior product manager at Seagate, moving to 3TB (3 terabytes, or 3072 gigabytes) involves more than just "upping the areal density." The real problem with moving to 3TB is the old LBA (logical block addressing) standard. Set by Microsoft and IBM in the original DOS standard, LBA is a system for specifying the location of each 512-bit block of data. Unfortunately, LBA can only assign addresses for up to 2.1TB of space--which would have been an astronomical amount of space for users back in the 80's. But now that we've zoomed past 2.1TB of hard drive space, we need to get around the constraints of LBA. This can be done, says Craig, with "Long LBA addressing," or, basically, increasing the number of bytes that are used to define an LBA address. The only hitch? In order to use Long LBA addressing, users will need an OS that can support it--such as 64-bit Windows 7 and Vista, or modified versions of Linux. Windows XP users won't even be able to see the 2.1TB, Craig says--in company tests, Seagate has shown that as little as 990MB can be available (that's right…less than a gig) to XP users. The new drive will be part of Seagate's Constellation ES family (which currently includes Seagate's 2TB drive), and will feature a 6Gbit/s SAS interface. According to Slashgear, the drive will "presumably spin at 7200 rpm."